When every detail matters, we provide you with the perfect combination of technology and lifestyle. Our durable and versatile central vacuum accessories fit 99% of all central vacuum systems. Take a moment to consider each surface of your home and how a specialized vacuum accessory can make cleaning a breeze without stirring up dust. The CT10 moves easily over both hard floors and carpets! The CT10 uses 3 different types of cleaning materials to effectively clean the different surfaces of your home. The first material is designed to deep clean carpets, the second is a soft material that conforms to the uneven surfaces found in stone and tile floors, and the third is designed to polish the surface as you vacuum. CT10 features a shutter system with a soft bumper that moves up when you are vacuuming against tight corners, baseboards, or stairs. Check out the CT10 video! Combine a broom, dry mop, and vacuum and you get the Manta Mop! Easy to navigate around furniture with "Manta-ray" shape, keeping furniture safe from damage. CentraMop - Two Jobs in 1! Vacuum and Mop at the Same Time! The CentraMop simultaneously vacuums and mops (using a damp pad) for effortless, time-saving cleaning of all hard-surface floors. Its unique front and rear vacuum channels pick up debris, whether pushing or pulling. Same effort yields a cleaner floor and cleaner home, without vacuuming any water! Includes (2) microfiber pads. Enjoy a sparkling clean home with the Mini Electric Vacuum Attachment. All the power of your large carpet brush is now in a compact, easy-to-use, 6-inch wide vacuum. 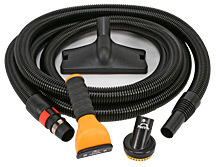 It is truly the finishing touch and compliment to your electric vacuum and electric hose. 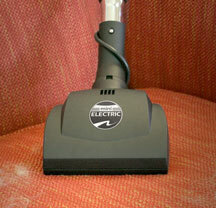 Why stop at your carpet when Mini Electric makes cleaning most fabric surfaces just as easy? 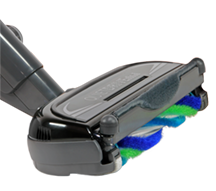 The Mini Electric brush is a great add-on to any central vacuum system with any electric hose (110 volts to power a vacuum head). No other brush like it exists. Combine central vacuum suction and tools to groom your pet with NO MESS. Because of the remote central vac power unit location, your pet should not be alarmed by any loud vacuum motor. It is specially made to fit 99% of central vacuum systems via a uniquely designed hose and airflow bleeder valve. Connect the hose to your longer central vacuum hose and cleanly and gently groom your pets! NEW! Vacuum dust right out of your home from areas that are hard to reach. This 90-degree elbow easily allows you to clean fixtures, fans, cabinet tops, and more. Vacuuming dust keeps your home a whole lot fresher than traditional dusting. The Flexible Crevice Tool bends in any direction to help you insert it into tight places. Perfect for routine cleaning and maintaining of appliances - which will save you money in improved efficiency. 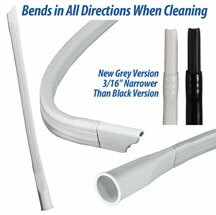 The Flexible Crevice Tool is over 22" long and compatible with 99% of hose ends. It fits into small spaces up to 1/2 inch by 1-1/4 inch, making it perfect for vacuuming things such as: dryer vents, refrigerator coils, air conditioners, stoves, ovens, air ducts & vents, washers, radiators, condenser coils, behind furniture, and auto detailing. Tool does not retain flex shape. 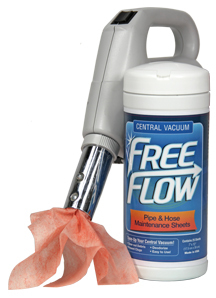 FreeFlow Central Vacuum Maintenance Sheets are the do-it-yourself solution for central vacuum system care. Simply vacuum the cloths through the hose and into the main vacuum unit. These handy wipes (25 per container) are the ultimate way to reduce odors and restore your system to peak efficiency.